During CES, AT&T hosted a private concert featuring Macklemore and Ryan Lewis at The Pearl Concert Theater. It took a while for the duo to get into a groove because they were unsure what to expect from this “corporate” audience. “We usually perform in front of a bunch on 16-year olds,” Macklemore said. But after a couple of songs, the duo loosened up and gave a great performance. 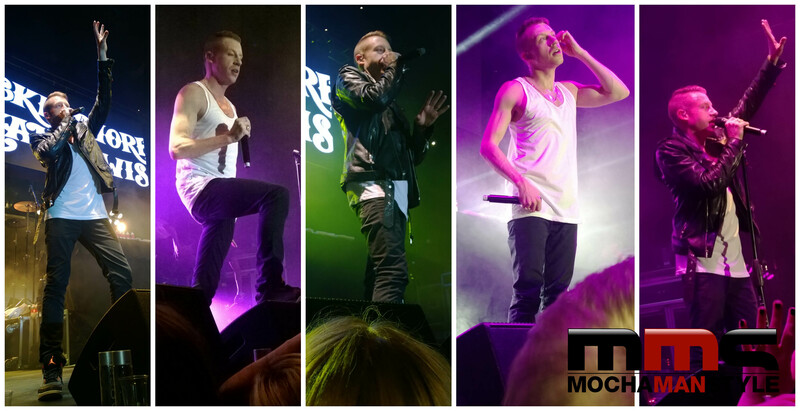 Macklemore got the crowd hyped up with his enthusiastic rhymes while Ryan Lewis pumped the music from the DJ booth. Live horns, background dancers, and vocalists added to to the party vibe. By the end of the night, Macklemore was crowd-surfing, dancing, and sharing intimate stories with the audience. During the hour-long show, we all connected with the music and remembered what it was like to be sixteen again.